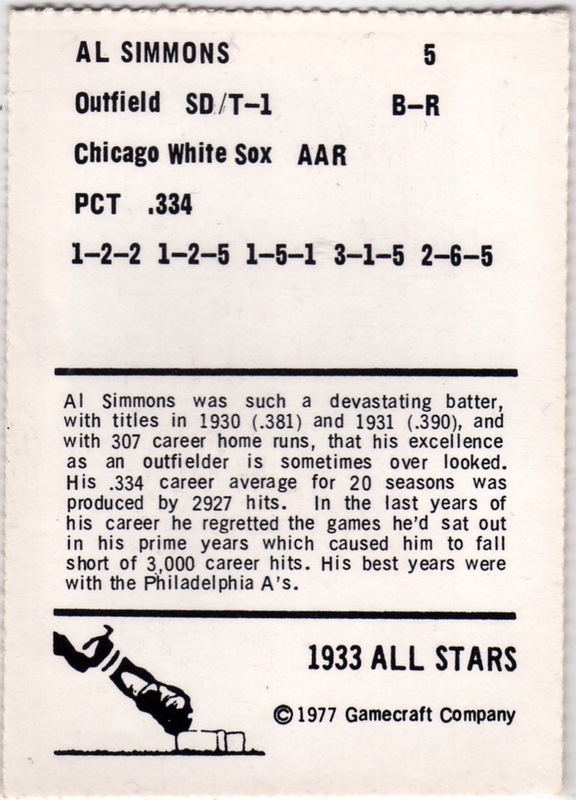 Not many cards refer to players regretting their time off, even for number milestones like 3000 hits. 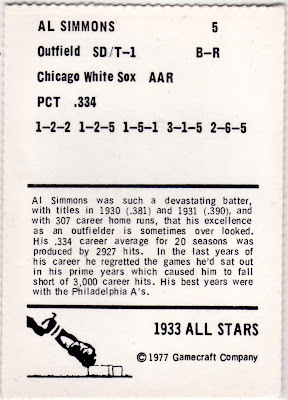 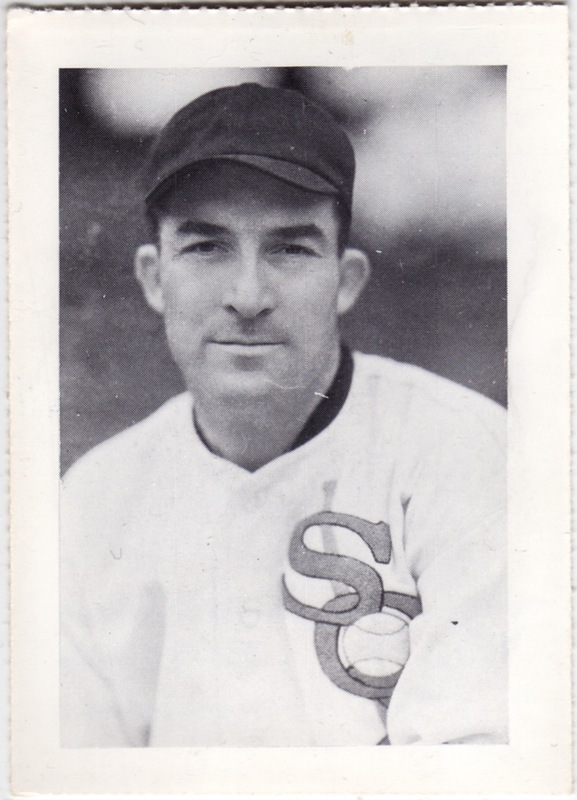 Coming up "short" at 2927 hits didn't stop Simmons from reaching the HOF, as the writers selected him in 1953, three years prior to his death at age 54. 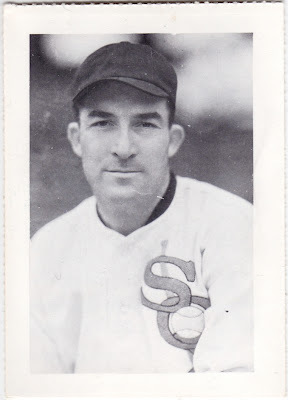 Value: Singles of non-superstars cost a few dollars, with guys like Ruth and Gehrig running $20 or more in good shape.